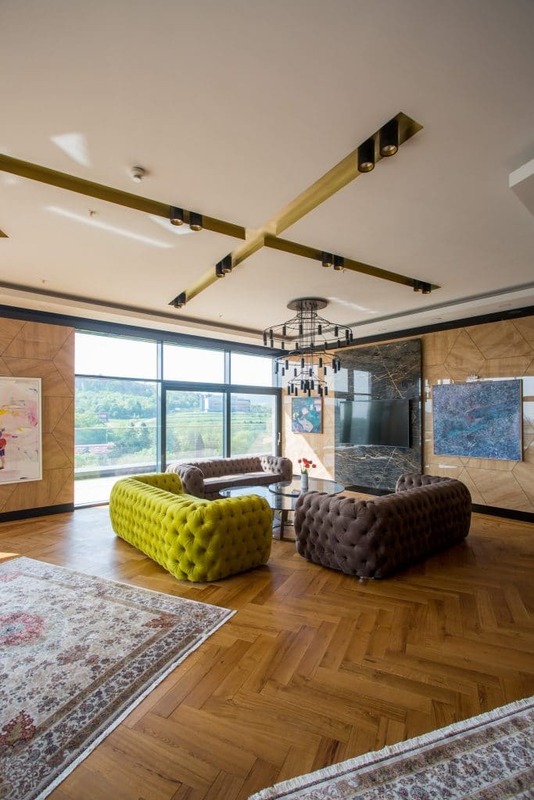 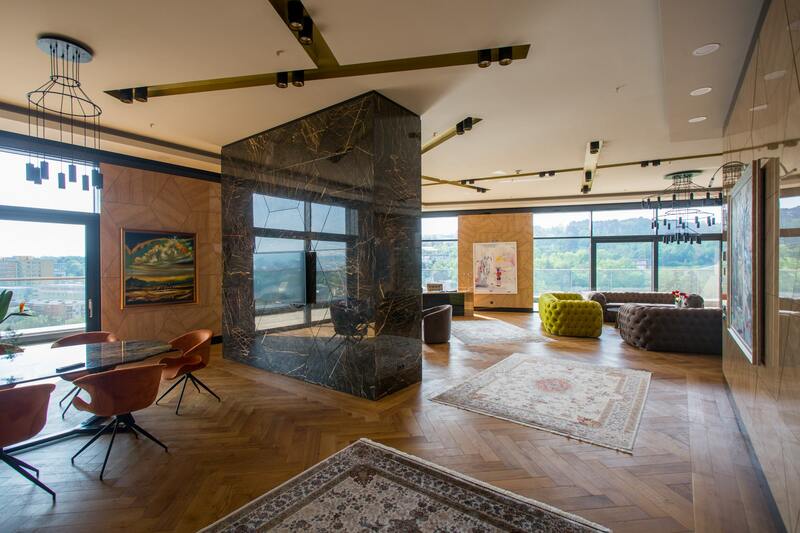 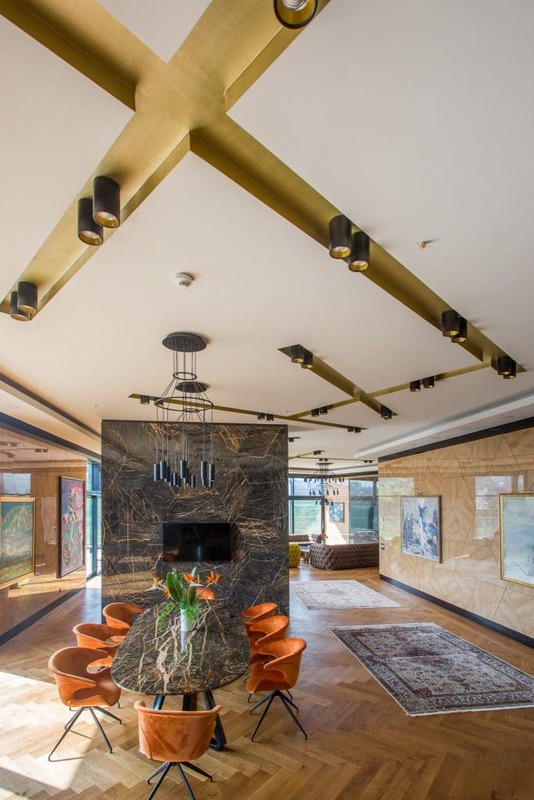 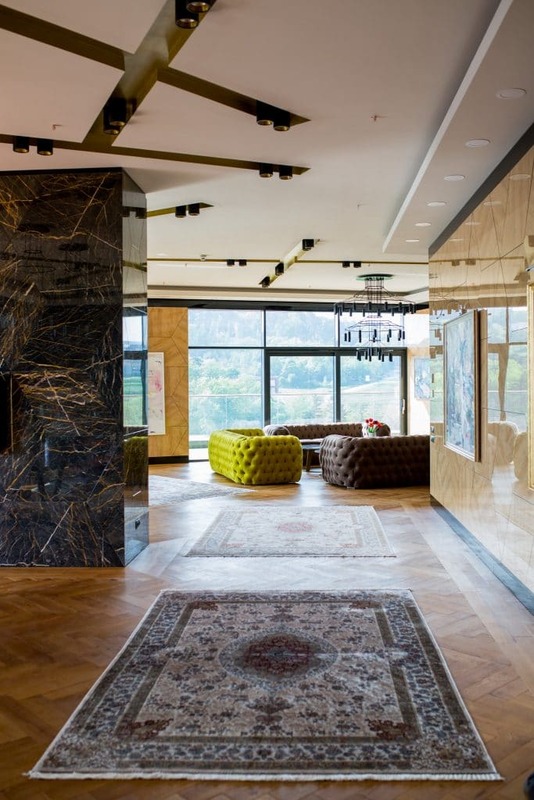 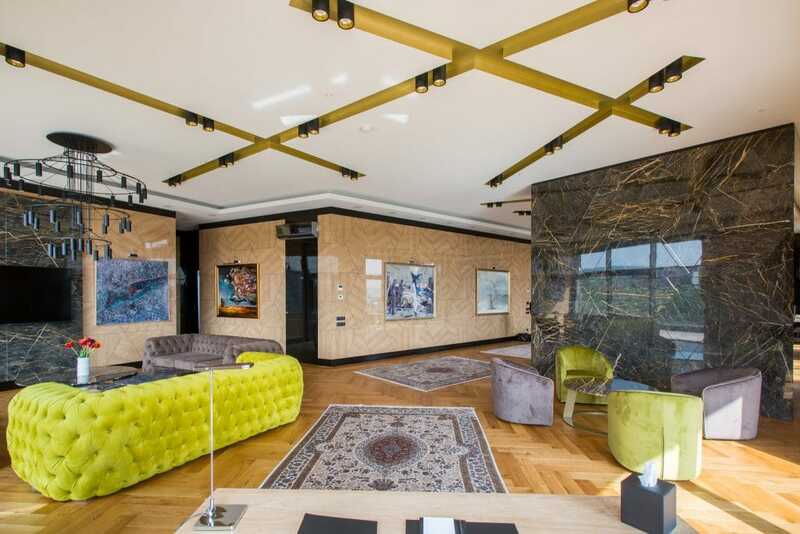 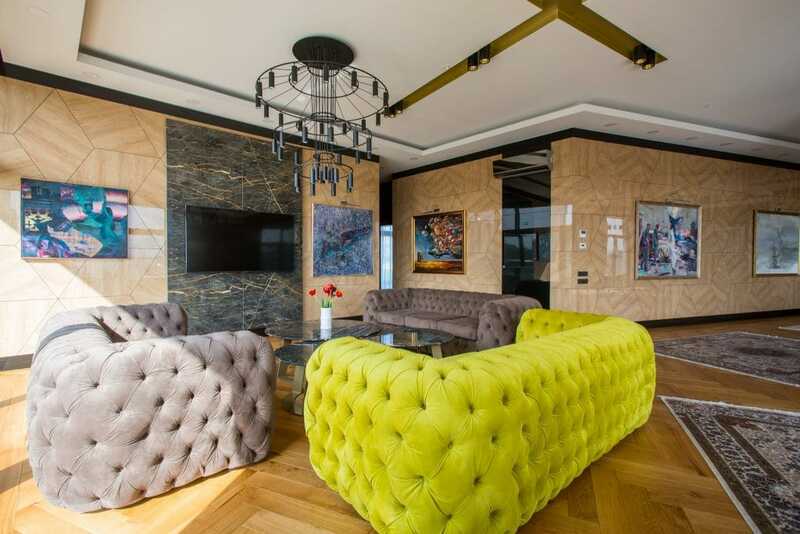 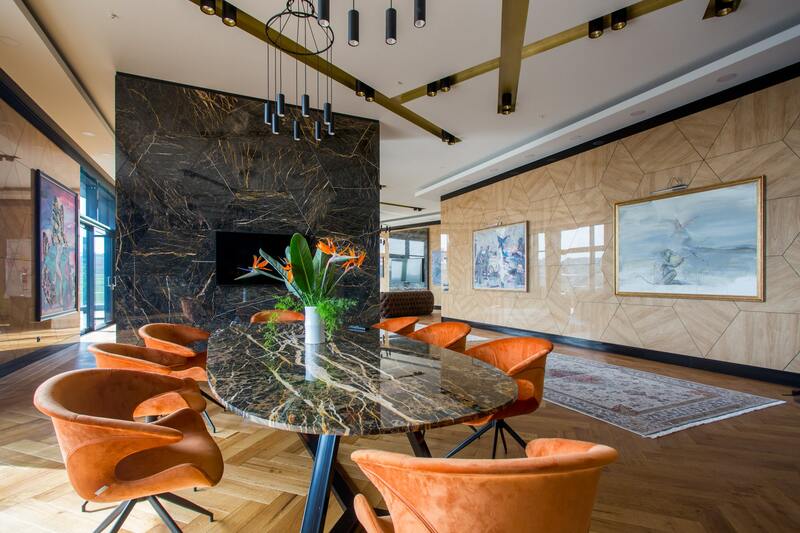 Located on the 11th floor of the Platinia Hotel, this two-bedroom suite offers 320 square meters of living space and panoramic views over Cluj-Napoca from the spacious terrace. 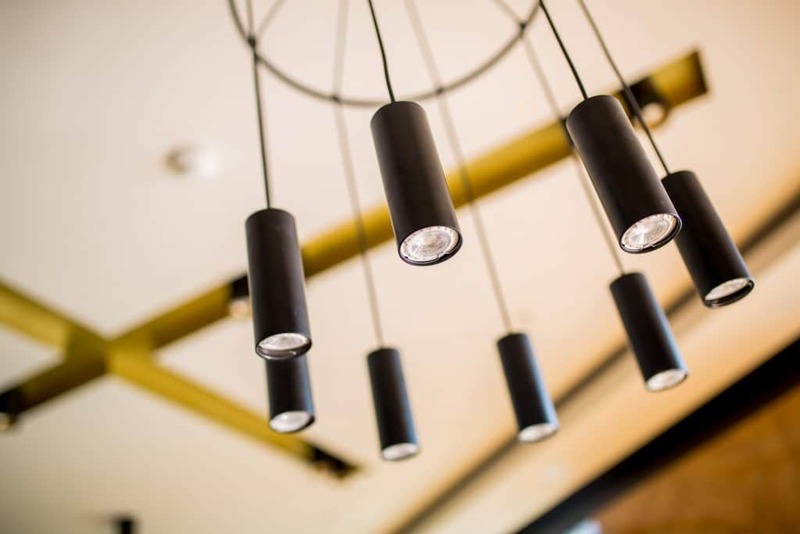 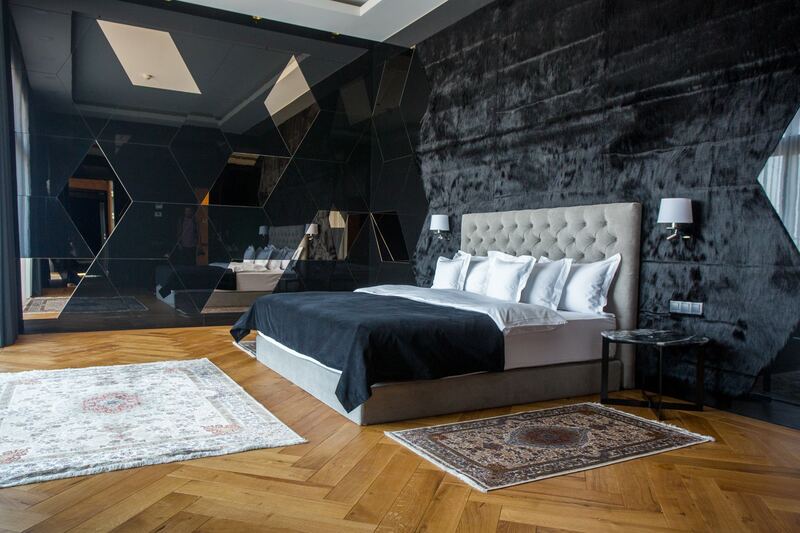 The Penthouse from Platinia Hotel is the perfect space for an unforgettable stay in Cluj-Napoca. 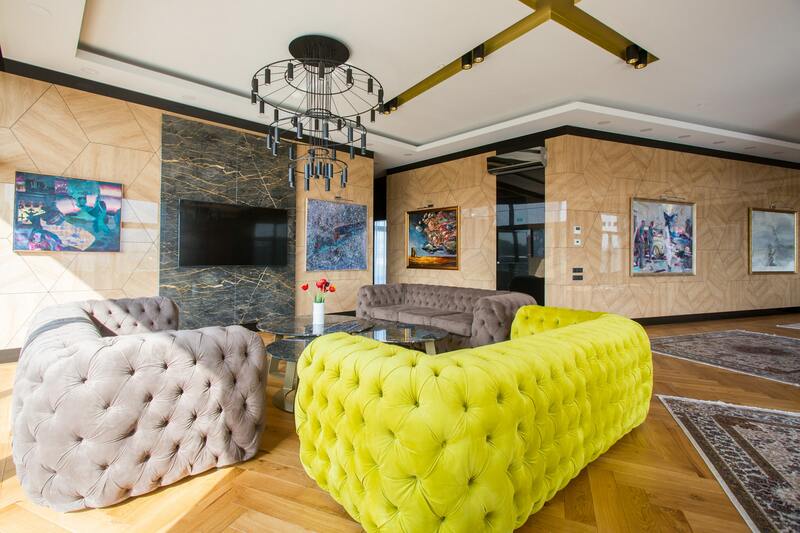 In harmony with being on the highest floor, a premium location, this space was created to be the peak of luxury, and this feeling is brought out through the most comfortable, high quality modern furnishings. 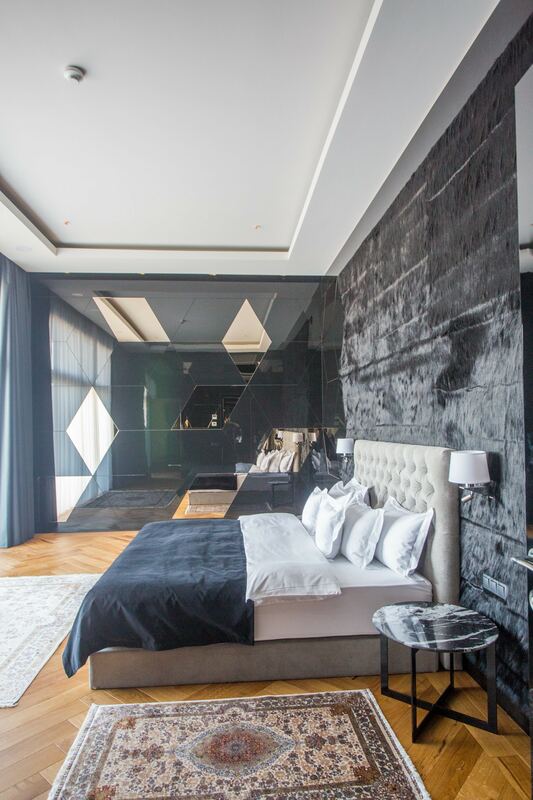 The master bedroom is complete with an expansive walk-in closet and an ensuite bathroom with jacuzzi, steam shower, Bulgari hotel amenities). 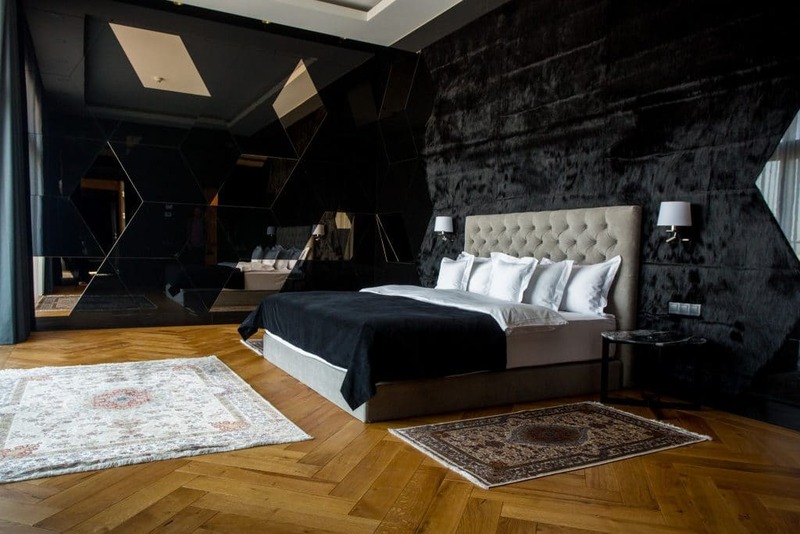 This is truly the ultimate Cluj-Napoca luxury hotel accommodation.